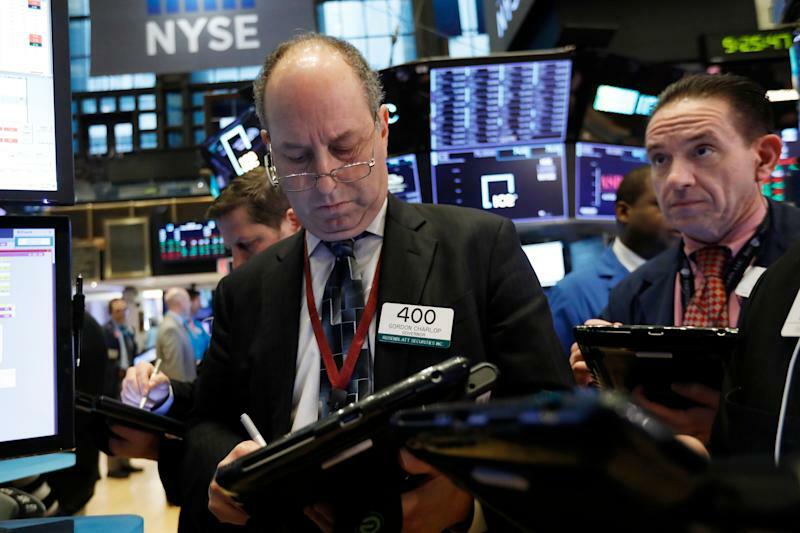 The stock market has yet to retest its Christmas Eve low of 2,351 in the S&P 500 (^GSPC), reached on Dec. 24, 2018. Retests are a common occurrence during times of volatility. During the stock market selloff of February 2018, the S&P 500 retested its low toward the end of March and again in April. During the October 2018 selloff, stocks tested their lows again in November, before reaching even lower lows in December. Characteristics of a healthy economy include rising economic activity, increasing loan demand and rising inflation, Robinson said. “But we’re seeing the opposite of all of these,” he noted. The S&P 500 is up 14.2% since Christmas Eve. “The classic ‘V-bottom’ off the December 24 lows and subsequent rally, which retraced two-thirds of the 20% decline off the late-September all-time highs, is either a rally within a bear market or the launch/resumption of an ongoing bull market, and a Bayesian probability analysis I did over the past half-century put the odds at 4/7 that it was the former,” Robinson added. After all, according to Robinson, bear markets always have ferocious bounces. In addition to the headwinds Robinson mentions, the market also faces a big test surrounding trade talks, an issue that has disturbed global markets over the past year. The Trump administration has set a March 2 deadline to reach a resolution on trade negotiations with China and on Thursday, President Trump announced he would not be meeting with China’s President Xi Jinping before then. Another near-term worry surrounds earnings. Wall Street is now forecasting a decline in year-over-year earnings growth for the first quarter of 2019. Though one factor suggesting the market isn’t likely to retest its Dec. 24 lows in the coming weeks is the historical market patterns that typically follow a strong January.